People living in the mountains have to hike for 5-7 days to get to their place. Something different from Nepal is the use of machines and technologies. In Nepal, people wash their clothes with hands and concept of wifi is just starting. For me, drinks here are too sweet. I am not used to this much sugar. I am in TRYBE, Best Buds, ASA and I am planning to try out figure skating too. That is a very hard question. I have favorite directors, but a recent movie that I watched and really impacted me was Incendies by Denis Villeneuve. I have only been to Boston so far. It has been 2 weeks since I came here for the first time. I miss just being super happy doing small things with my friends and my mom. The Community is very welcoming. I already feel like I am a part of a big family. Everywhere except the Library which is a quiet place. I think when you go to Nepal, you will see things that you have never seen. 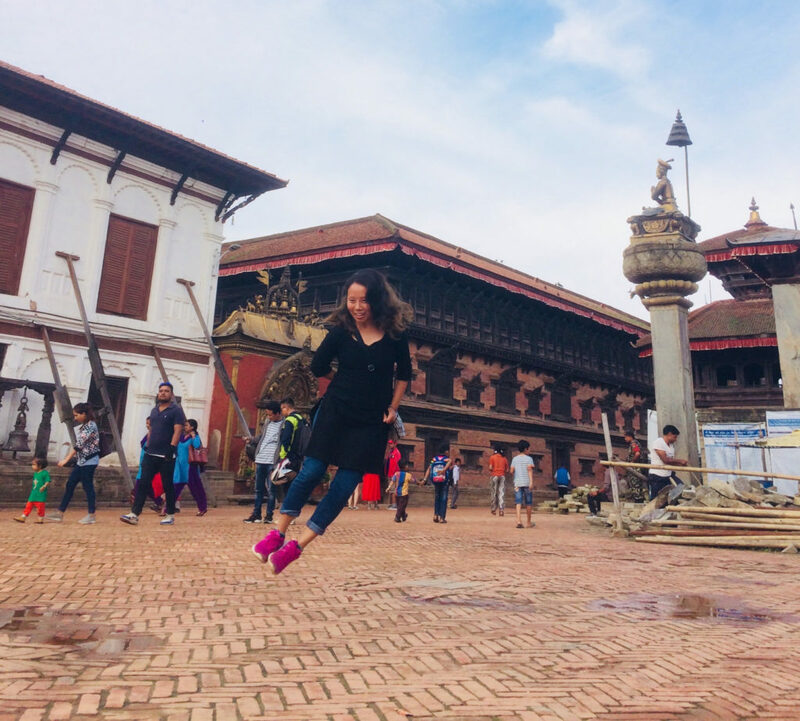 There is lots of suffering, but my friends told me that they learned to appreciate their own life after coming to Nepal. But you will also see that people are happy even when they have very little. Nepal is beautiful. Hikes to villages are fun, people on the way stop you and offer you foods, tell you stories, you make friends everyday. I have learned about issues such as black lives matter and #me too. I also learned about the Red Sox game!